Well, we now start to ask ourselves whether it should be worthwhile to visit the PMA show in Las Vegas next week. It seems like every day there are camera introductions and with this tempo there are no brands left when PMA kicks off! But do not be afraid, we know that although the number of camera introductions from the past weeks is pretty high, PMA will be the show to be! Today Fujifilm unveils their new entry-level model in the FinePix series: FinePix A330. The A330 offers faster operation times and improved power consumption with new user-friendly menu navigation. The camera allows first-timers easy photography while keeping the overall experience fun. 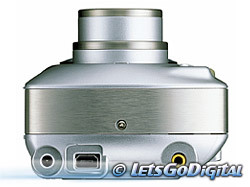 The FinePix A330 has 3.2 million effective pixels and features a 3x optical zoom. The camera offers streamlined menu navigation, a quick playback mode and a slide-powered boot-up in a stylish and sleek body. The A330 offers four scene modes usually found in more advanced Fujifilm cameras, including portrait, night, sports and landscape settings. The macro setting allows users to capture images only 10cm away from the lens. 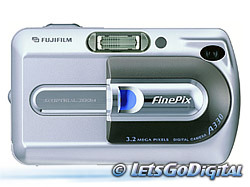 Beside being able to capture still images the FinePix A330 can capture movies at a rate of 10 frames per second as well. 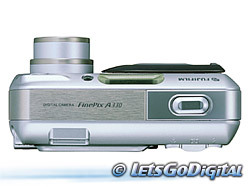 The new FinePix camera is compatible with the optional Fujifilm Picture Cradle, which allows easy optional NH-10 battery recharging, as well as streamlined image downloads and video playback when connected to a television set. The A330 offers a start-up time of 3.3 seconds. It has improved power consumption, taking an average of 250 images on a new set of AA alkaline batteries, using the flash half of the time and LCD off. 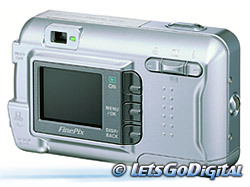 Using 2300mAh rechargeable batteries the FinePix A330 can take 540 images under the same conditions. The A330 supports PictBridge. 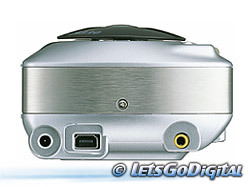 The FinePix A330 with FinePix Viewer, ImageMixer VCD2 for FinePix, a 16MB xD-Picture Card, two AA alkaline batteries, USB cable, video out cable, wrist strap, and a Picture Cradle adapter. 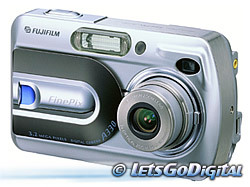 The FinePix A330 will be available in March 2004.